There are no words to describe the greatness of this show. 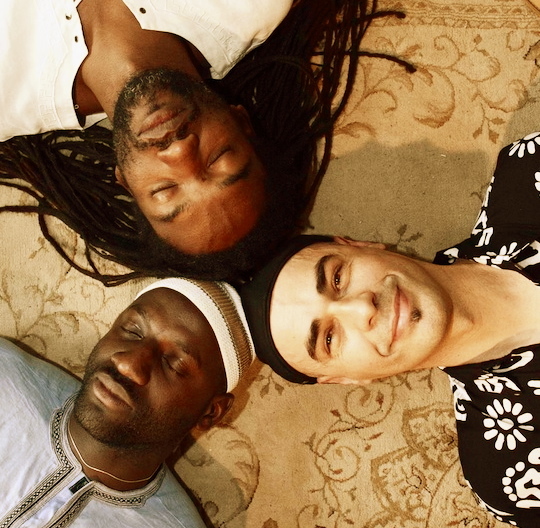 In the most epic trio of musical perfection I have ever come across, acoustic guitarist Antonio Forcione is joined by Seckou Keita on the kora and percussionist Adriano Adewale. Not only are the performers’ musical abilities mind-blowing, but the passion and genuine joy of playing for others brilliantly shines on their faces and temporarily blinds you, so that, in the extremely rare occurrence that they make a mistake, you’ll be none the wiser. Every single audience member was mesmerised by this performance; it is easily one of the best shows I have ever seen, in and out of the Fringe. It would be tragic to miss this. ANTONIO Forcione, long a favourite of the discerning musical Fringe-goer, can be an extrovert showman when in solo mode, dominating the stage with his presence and his often visceral amplified acoustic guitar attack. 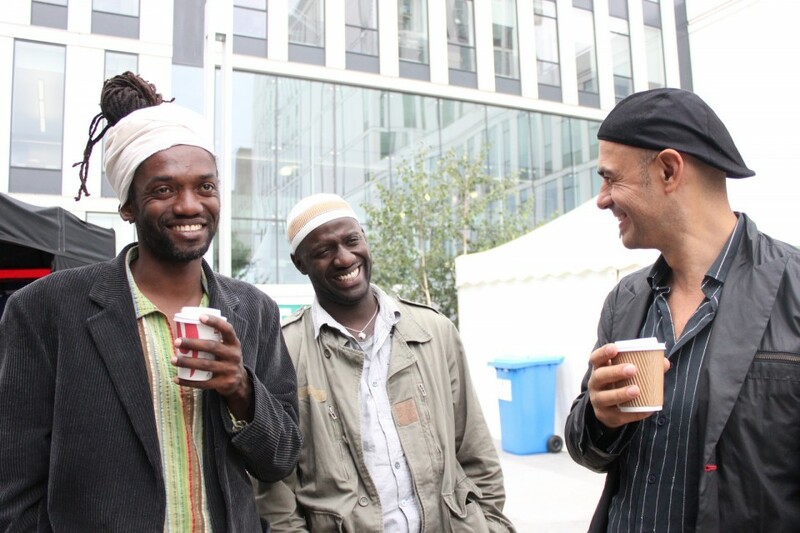 Here in his latest collaboration, the Aka Trio, with Brazilian percussionist Adriano Adewale and Senegalese kora player Seckou Keita, each a virtuoso in his own right, things were more laid back, and occasionally tentative as the three players gelled, but with a palpable sense of rapport and delight in their music-making. It was the crystalline chiming of Keita's kora - the West African harp-lute - which opened proceedings, percussion and guitar joining stealthily before building up in intensity then fading away, setting the tone for a performance which had much light and shade. 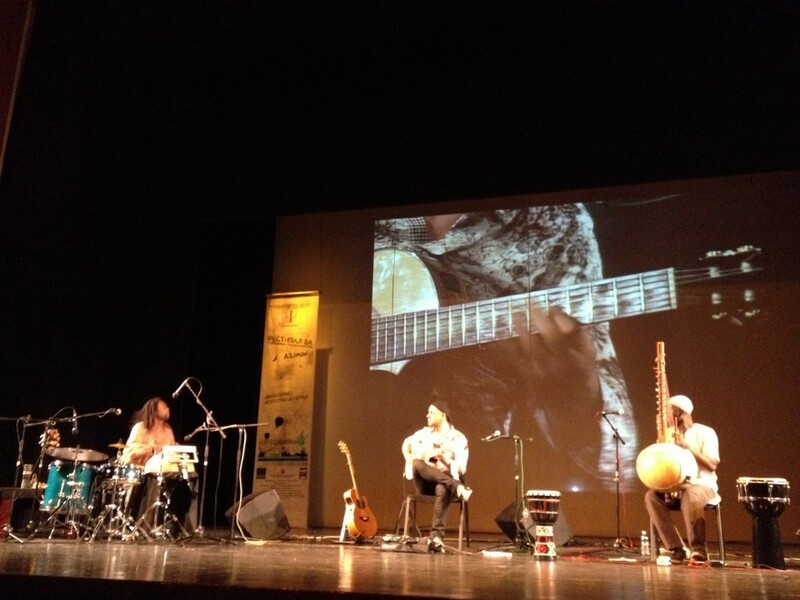 Forcione's tune for his daughter, Maya's Song, was lazily hypnotic, his guitar singing out at intervals and making use of some real-time sampling to build over a riff, while the kora rang out a gentle ostinato. Each musician had a solo spot, Adewale leaving his gantry of percussion to take the floor armed with a miked-up tambourine, with which he worked up compelling rhythms, and Keita proving himself a fine singer, delivering Souaressi over an intricate kora accompaniment. Forcione switched to his unique ouadann, a fretless guitar with additional sympathetic strings, for a dark-toned solo full of sighs and echoes. 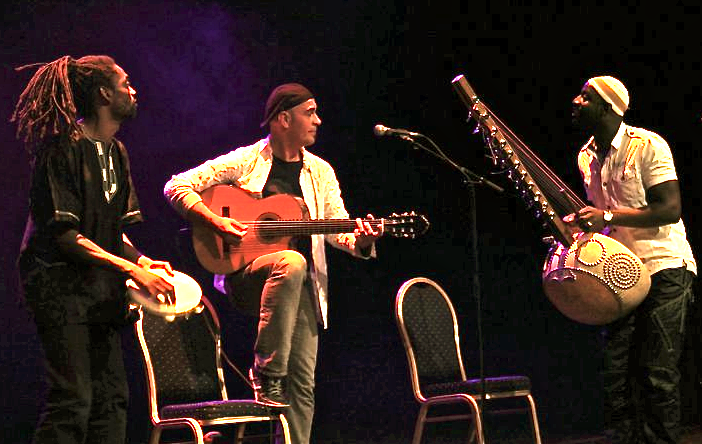 Drawing things to a close, the trio really built up a head of steam, percussion driving things on insistently while guitar and kora flowed in twin torrents of string sound, leaving the audience clearly exhilarated and anxious for more.